By TLex Here's a lovely looking quartz diver. 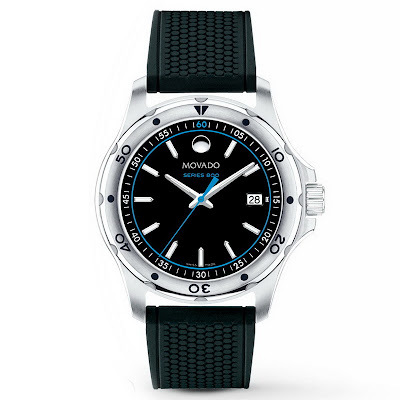 The Movado Series 800 Diver is a available with either a Swiss Quartz three hands or chronograph movement. 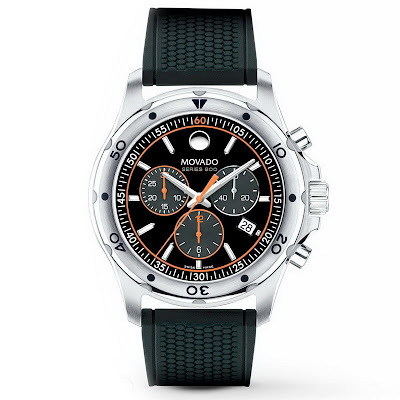 The Series 800 watch case has been constructed from Performance Steel™. It has all the typical divers features: a unidirectional rotational divers bezel with elapsed dive-time, a Sapphire crystal, a screw-down crown and caseback and a water-resistance of 20ATM. The 3-hand model measures just 40mm in diameter whereas the Chrono is a little larger at 42mm. 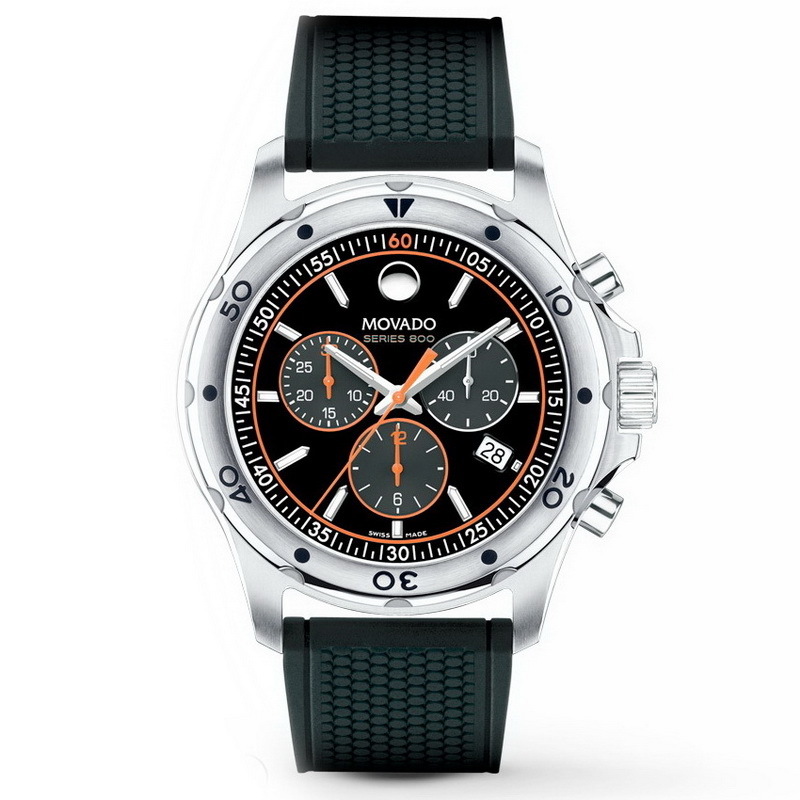 The dial is in black with either an orange or blue handset with orange or blue and white accents. 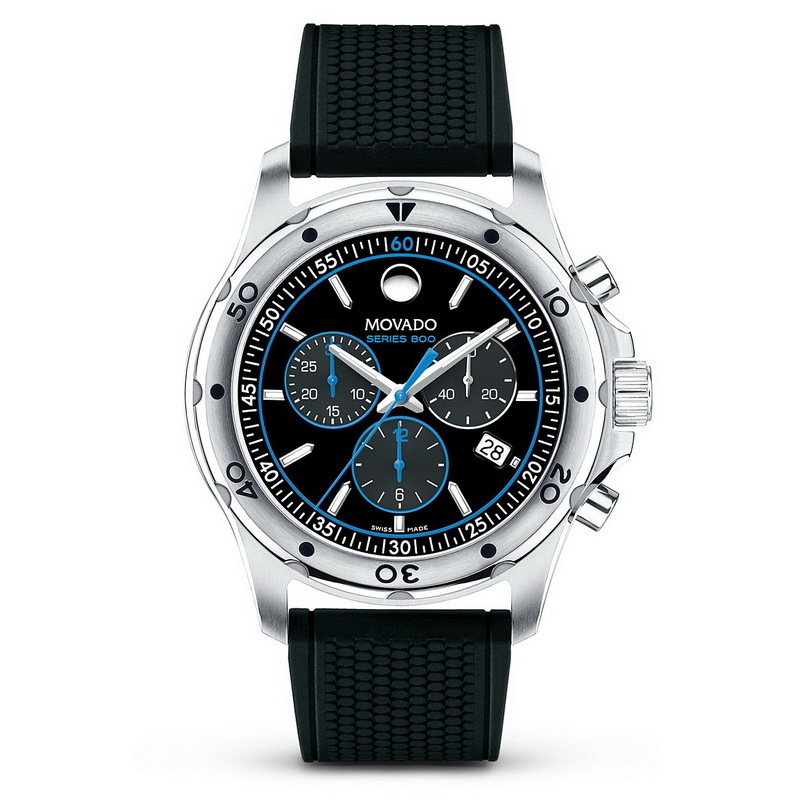 Features include: 3 matching timing subdials (chrono), Movado's signature silver-toned concave dot, applied baton markers, minute ring and date window (3 o'clock). Series 800 watches are presented on black textured rubber divers straps with Stainless steel buckles.